PUBG's new smaller map makes for a more chaotic, faster experience. Weeks ago during the Game Developer's Conference in San Francisco, PlayerUnknown's Battlegrounds (PUBG)'s creative director Brendan Greene told a packed crowd for his talk that he "likes when a game punishes you as a player." Frolicking across PUBG's newest map, a much smaller four kilometer by four kilometer map (commonly called the "4x4") that bears the codename "Savage," feels like an extension of that idea. It's a map that punishes you, twisting the way you usually approach PUBG's maps and matches. Kicking off last night at 7pm PDT, PUBG's latest map hit the brand new experimental test server, which is available separate from the main game and will be host to PUBG's more radical tests (such as this very map). 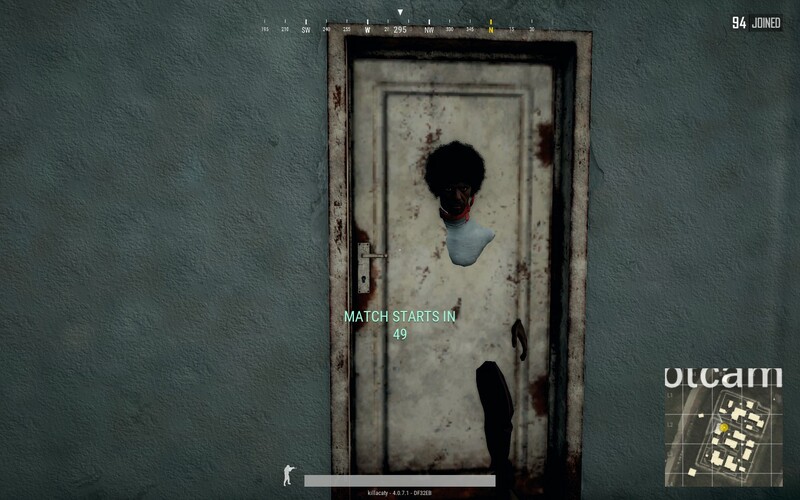 Even though it's a closed test, I was hopping into matches as quickly as any other version of PUBG—both in the main game proper and its other test server that comes alongside the game. 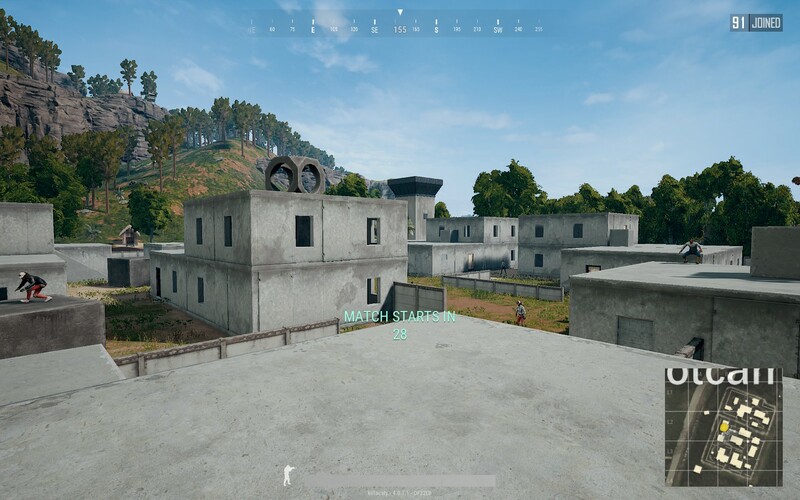 I never had to wait more than a few seconds to be plopped into a lobby with other likeminded players, as we collectively climbed the unfamiliar cement structures of the new map's lobby and saw how far we could propel ourselves off them with a running start. PUBG's new map is exhausting, and at the moment, very rough. (Hence, earning the "experimental" in "experimental test server.") 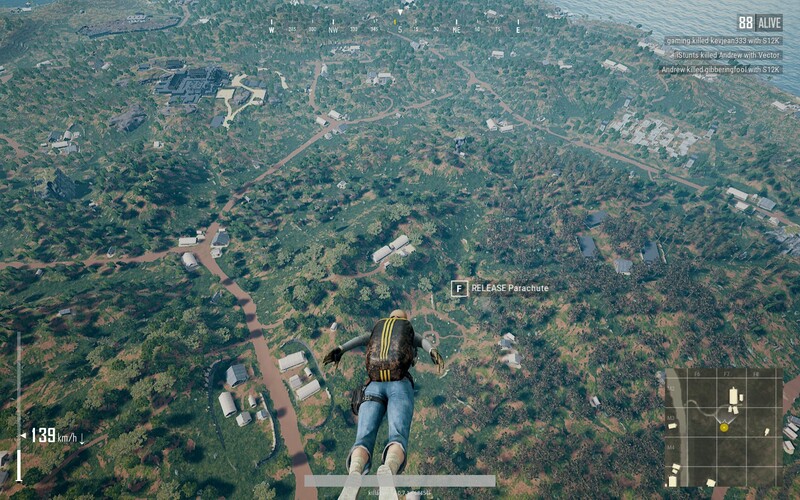 Unlike PUBG's other maps Erangel and Miramar, wherever you drop, you will undoubtedly find at least two other parachutes falling alongside you. It's terrifying initially. It reminds me of how other maps had "hot dropping" become a trend, where players drop onto a city with known good loot, favoring a risk and reward approach of having to probably duke it out to see who gets the goods. On the 4x4 map, that approach is always the case. There is no easy cautious route. Only hell. 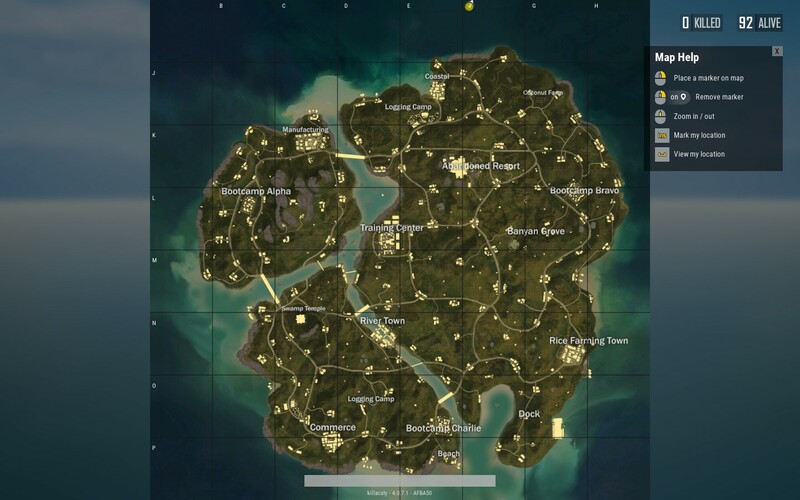 The map is a direct answer to one of the most common complaints PUBG's weathered in recent months: that the "hot dropping" trend has escalated and too many people are dropping immediately onto bustling areas like Hacienda on Miramar or School on Erangel, and are killing each other off immediately. This trend makes the midgame for the rest of the players a bit of a slog, since there's only 40-to-60 players (sometimes even dipping lower, to even 30) left by the time the first circle is closing in after the bloodbath. Considering that matches can last upwards of 20-to-30 minutes, those long stretches have become more of a chore because, frankly, there aren't many players left alive across the vast maps to unexpectedly encounter. Some players assumed this was a way of players dreaming up their own ranked mode, as usually only the most agile players make it out of the busiest initial spots alive (even if matchmaking in PUBG is technically determined by players' skills already). Most point towards the fact that players are either streaming or just enjoy the instant action rather than cautiously looting, whereas usually the early to midgame of PUBG is inherently slow until the circle is much smaller, and creeping up on other players is more likely. I sense "River Town" will become a hot destination. But the 4x4 map wasn't a direct answer to the players complaining about that particular problem, but to the players making it an issue in the first place. It gives them a place to enact their hectic fantasies that are better for streaming fodder. It drags them away from mass-dropping onto the crazier loot drops of Erangel and Miramar too (though I doubt that trend will ever go completely away, as it's been a part of the game's meta since launch). PUBG matches, by design of their maps, always stretch a bit long—and that, in my opinion, is what makes them special. In creating a smaller, more confined map, the game feels more chaotic and less quiet and tense when moving from place to place. Yet, it's offering a new sort of battle royale experience for PUBG. Something faster. Something more, uh, familiar. It feels like Fortnite Battle Royale, honestly, the battle royale genre's current flavor of the week and a far more action-focused game (thanks to its smaller map and arcade-y elements). PUBG's new 4x4 map caters to that crowd, with its biggest perk being that death doesn't feel like as much of a waste with the shorter playtime. Since about half of my matches end with death immediately when I don't land my punches just right, I'm back into another round so quickly that it doesn't matter. Even in one particular match where I got into the top 10 felt like it ended too soon, which is far different from my matches on other PUBG maps. 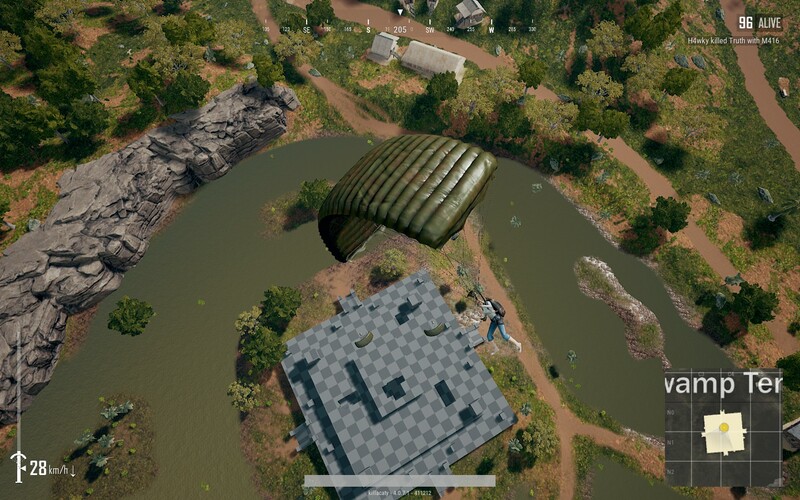 Visually, the new map continues PUBG Corp.'s trend in bringing different locale influences to the game. Erangel, the game's debut map, is a sort of hodge-podge of Eastern European influences. The game's second map Miramar debuted with its 1.0 release Miramar and has a Southwestern influence, as evidenced by its more colorful details and desert climate. 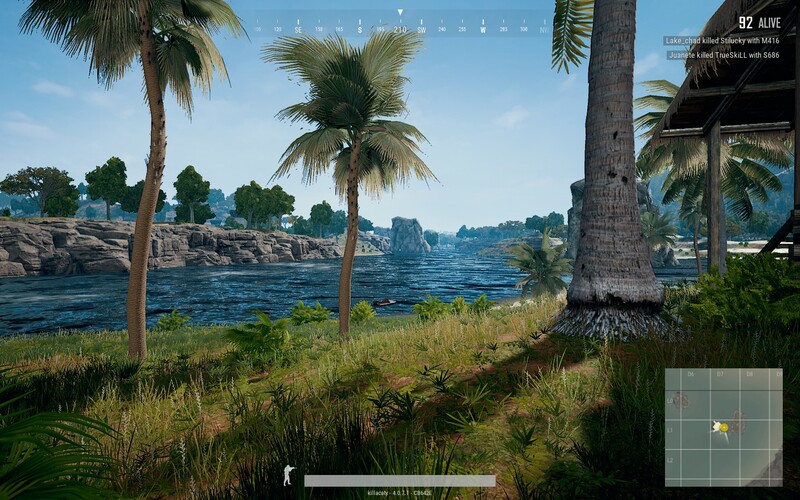 The new 4x4 map takes a far more tropical approach to its design, with brightly colored foliage, palm trees, and rivers running throughout the small island. It kind of gives off a Far Cry vibe because of its landscape, and looks especially nice when the new dynamic weather's fog settles in. 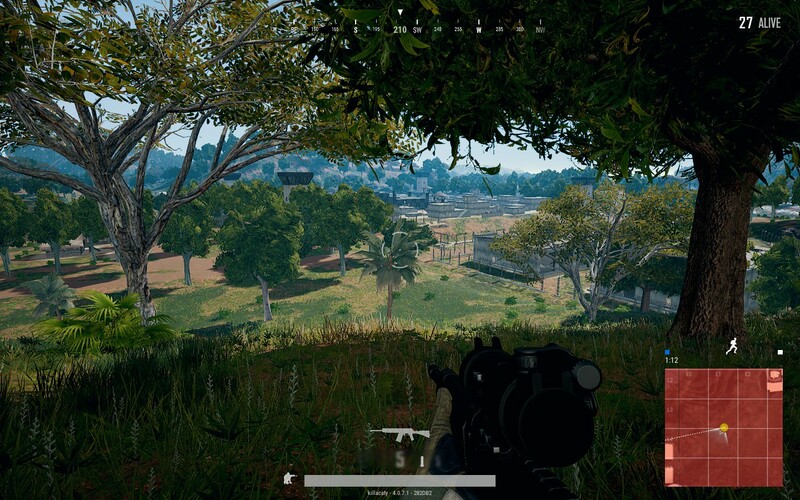 It's a different feeling map from Erangel too, even with the return to lush greenery, as there are only little shrubberies to crouch into rather than tall grass. At the moment, it's a very unpolished map still. Textures take awhile to load in, and some buildings have the placeholder checkered tiling instead of textures at all. Furniture and variety among the buildings remains nonexistent, which I imagine will be implemented as the map is tested in the future. The map's fonts are inconsistent with the main game's. Our own Mike Williams even got stuck on a mountain during a stream after a rough drop. But this is a test version of PUBG's latest map, and it'll remain in test servers for much longer than Miramar did earlier, as I was told in an interview during GDC 2018. Definitely some rough edges in the current test build. And just from a few hours spent shooting and looting through the new map, I think it's a step in the right direction—it's creating a PUBG for all sorts of players, no matter what pace of action they prefer. As for me, I'll probably stick to Miramar and Erangel once the planned map selection hits the game properly, as PUBG Corp. has already announced is on the way. I'll leave the chaos to those darn kids on Twitch. Want to try out PUBG's new codenamed Savage map for yourself? Nab yourself a code for the experimental test server from our giveaway. The first round of testing wraps up in just a couple days on April 5, 4am PDT. You can also check out our PUBG review and our PUBG guide for the new 4x4 map. Tagged with Analyses,	Battle Royale,	PlayerUnknown's Battlegrounds (PUBG),	PUBG Corp..